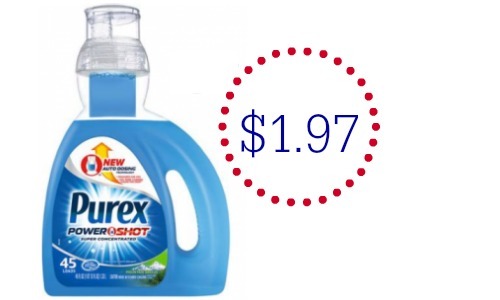 There is a new high-value $2 off Purex PowerShot Laundry detergent coupon that you won’t want to miss. The best part is there are no size restrictions and it doesn’t expire until 5/16. That doesn’t mean it will still be around to print though, so just grab it now and save it. You can use this coupon at Walmart to get 45 load detergent for $1.97!